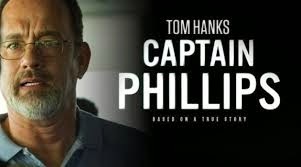 “It’s going to be okay,” is s omething of a recurring phrase that is uttered by several characters in Paul Greengrass’ (United 93 and Bourne Identity franchise) latest film, Captain Phillips. Despite the fact that things are most definitely not going to be okay, and the fact that a Somalia Pirate says this too does little to reassure otherwise. Captain Phillips stars Tom Hanks as the titular character, Captain Richard Phillips. Based on the true story of a Somali Pirate attack on an American cargo ship of the coast of Africa, this was a story made for Hollywood. More specifically, this is a story made for Paul Greengrass to adapt for cinema. As with all Greengrass’ films, he has a real gift for mixing the political intrigue and edge-of-your-seat storytelling. Not as easy as it sounds, when you have to consider all of the minute real-life story details that need to be honoured as well as keeping things fresh. This is was an especially tough task with the films well deserved two-hours and a quarter run time. Shot in a style similar to faux-documentary, the camera work is jarring, with sharp pans and quick zooms. It gives the film the visceral look to match its subject matter. Fast- cuts during the cat and mouse chase scenes as the pirates attempt to board the cargo ship encompass the frantic panic felt by Phillips and his crew members. The shooting-style used by Greengrass and his Cinematographer, Barry Ackroyd (Hurt Locker and Green Zone) is a marmite affair. Some will love the fast-paced, high-octane camera work whilst some may find it distracting, and a little sickly. It will almost feel like being sea-sick as the camera work jolts and whips from one shot to the next. Captain Phillips is the kind of film that is easy to approach and expect the overriding theme of American heroism. After all, it is really the kind of stuff that seasoned Hollywood Writers could not make up. 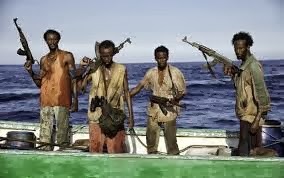 But there is more going on with the Somalia Pirates than meets the eye. Through little bits of dialogue between Phillips and the pirate leader, Muse (Barkhad Abdi) it is revealed that they are not pirates through and through – at least not by choice. “We are just Fisherman”, Muse tells Phillips. Fishermen forced into capturing cargo for money by Somalia war lords against threat of their way of life. There are no clear-cut villains in Captain Phillips. For these people, it is just a way of life. Three of the four pirates do not wish harm on Phillips and the one who does wants to out of panic about the situation. Ultimately, they just want money. “No Al-Qaeda, no religion, just business,” Muse tells Phillips during their first encounter. In one scene, Phillips tells Muse that “there has to be more to life than piracy and stealing boats,” to which Muse replies, “maybe in America, maybe in America”. Though a bit contrived, this does well to illustrate the point that to Muse, the idea of making a living shipping cargo is as foreign to him as stealing cargo is to Phillips. 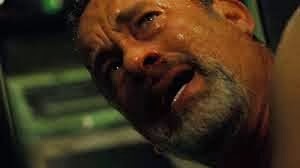 Hanks and Abdi really shine in the latter half of the film after Phillips is taking hostage in the lifeboat and the full might of the US Navy is called down to rescue him. In Abdi’s debut role, he manages to match Hanks’ performance and keep up with the legendary veteran. At times, it is as easy to sympat hise with Muse as it is Hanks. Phillips is not the only one in a situation he did not want, and Abdi does well to put that across. Anyone who thinks that Hanks has lost any of his acting ability should watch this film. His performance is powerful throughout. Especially in the final five minutes of the film. The emotion on display there is as real as anything you’ll see on the big screen for a long time. You feel his trauma as Phillips would have felt it. Hanks does an excellent job in taking the narrative to its emotional climax. 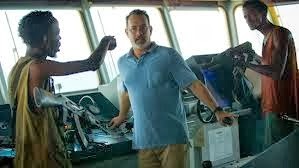 What makes Captain Phillips so unique is that it does not follow conventional character archetypes. It could have been easy to paint the pirates as the gun-toting amoral villains and Phillips as the underdog hero who singlehandedly overcomes his captors. But they’re not. There are no heroes here. In Captain Phillips there are only victims, those being Muse and Phillips. Both Phillips and Muse are put in difficult situations because of circumstances beyond their control. So as much as it feels good to see Phillips get rescued, (how can this be a spoiler? the guy wrote a book about his ordeal. Survival is implied!) you feel just equally as bad when Muse is arrested. Captain Phillips is an action film without the action heroes. It is a film where the trauma experienced by Phillips is not exclusively felt by him but a shared experience for everyone watching.